Ho Kwon Ping is the energetic and outspoken founder of Banyan Tree Hotels and Resorts and one of Singapore's most respected business leaders. He began his working life as a journalist on the Far Eastern Economic Review. He's been a university drop out (from Stamford) and a prisoner, (jailed for something he wrote). 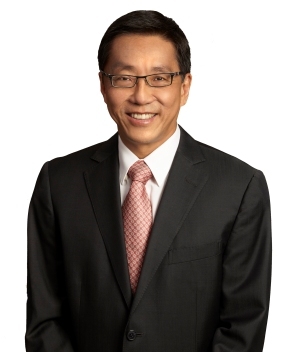 In 1981 he joined the family business, the Wah Chang Group, which dealt with construction, clothing and consumer goods. He founded Banyan Tree Hotels & Resorts in 1996, it has now grown to encompass 26 resorts worldwide. The group is named after Banyan Tree Bay in Hong Kong, where he and his wife, Claire Chiang, lived in a small fishing village after they were first married. Speaking recently at the Opening Forum of ILTM Asia 2012 , Asia's leading 'invitation only' luxury travel event, he expressed his views on the meaning of luxury, the future of five star and why travel can unify the world. On the inspiration to get into the hospitality industry. I join the family business and quickly decided that it needed a completely new direction. The primary thing that we were doing, which I felt was not viable and which today remains to me in many ways the curse of Asian businesses, was contract manufacturing. We were jack of all trades, master of none. You never own the market, the margins are squeezed all the time. I decided we had to have a brand and we had to create our own space in a global in marketplace. Irealised there were two kinds of business advantage. There is competitive advantage, and there is proprietary advantage.. I made the decision to build a proprietary brand and I was casting around looking for a candidate. It was a fluke that I went into the hotel business. 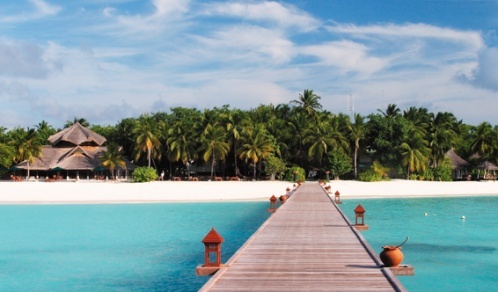 On what makes Banyan Tree Hotels and resorts special. Luxury was a logical progression because it was an underserved space in Asia. I could see space at the very top of the market for places evoking real emotion and warmth, secluded destinations with a true sense of place. If I can get you to go with your partner to a Banyan Tree you have created memories of your own there. It is an emotional response you will remember forever. To me our properties are not so much about 'luxury' , we want to deliver authenticity. Adversity is not a bad thing. That's how Banyan Tree was born, we had this 600 acres of land in Phuket but we had to do something different because we had no beach front. We created our very first spa to make people forget we had no beach. Basically we threw the whole spa book out on its head. I said we'll have spa therapists who'll go around barefoot because going around barefoot is a sign of respect in Asia and they will wear Asian clothes. Our advisors said you can't have people going around barefoot, it's not hygienic, and they have to wear white uniforms like in a European spa. Now our hotel spas are considered some of the best in the world. In solitary confinement you realise who you are and who you are not. While I was in jail [he spent two months prison in Singapore because of controversial articles he'd written for the Far East Economic Review] I proposed to my wife. That's my idea of romance. I think it was romantic, she probably doesn't. The luxury end of the market used to be dominated by in high-end travellers from Europe and the US but now we are seeing a new wave of tourists, the third wave from the BRICS market (Brazil, Russia, India, China) So the next stage of luxury tourism will be driven by the emergence of 'rainbow tourism' made up of people of multicultural origins from mature markets and from the emerging BRIC nations. And we have to treat them accordingly. This emerging group of rainbow tourists is looking for authenticity and sustainability in the destinations that they visit. What excites me about tourism is that it can be an agent for peace because it brings about cultural understanding. Not what divides us, but what unifies us. The more you understand another country the less you are afraid of them. Tourism should be seen as a force for good, and the overriding drive of hotel operators should be to remain faithful to their local identities and provide an authentic experience of their heritage and culture. Tourism should not cater to the national traits of one particular group of travellers but provide them with a chance to understand the in-depth background of the country they visit.